New Banner Pilot song! Pre-order Souvenir! Noisey/Vice is premiering a brand new Banner Pilot song: “Modern Shakes”. Culled from their new album Souvenir, out April 15th, bassist and songwriter Nate Ganglehoff describes the song as “a good introduction to the rest of the album-both in lyrical themes and in the music itself.” Guitarist, vocalist and lyricist Nick Johnson adds, “The song is about missing a person who has moved on. 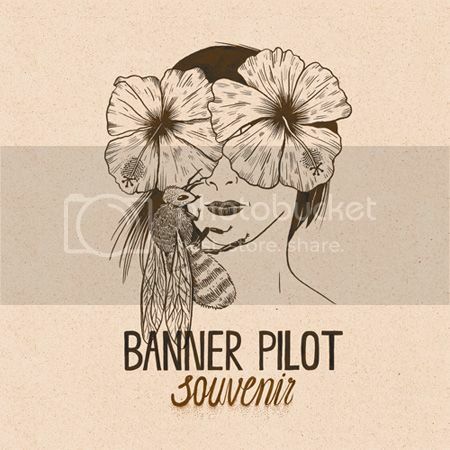 Sometimes when your life intersects with someone, it can leave an impression that sticks with you, even if your time together was brief.” This May, Banner Pilot will headline a string of long-anticipated shows. Tickets are on-sale now and moving fast! Head here to pre-order Souvenir today.